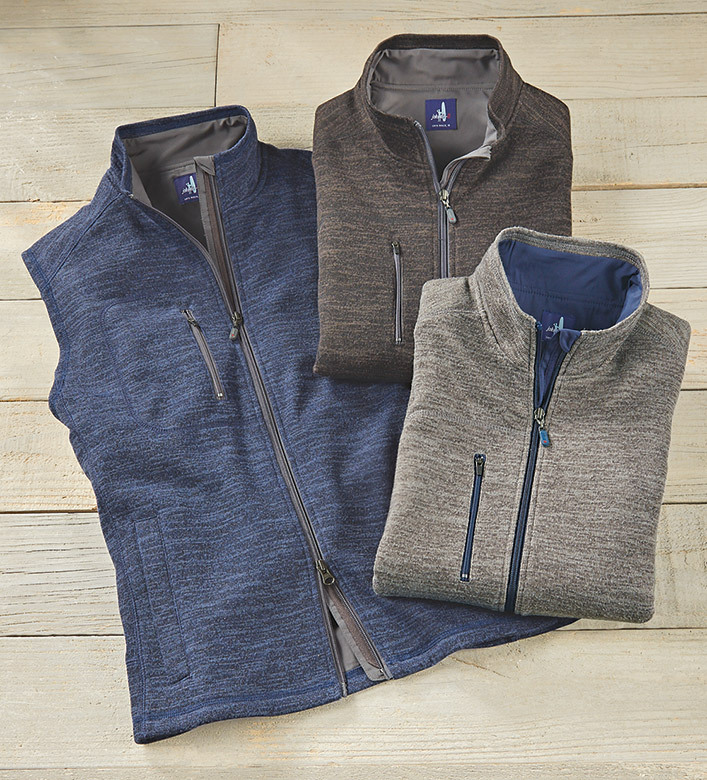 Cozy, water-resistant, go-to layer for warmth and comfort. Two-way zip front, stand-up collar, lower welt pockets, zip chest pocket, straight hem, full lining. 100% polyester. Machine wash. Imported.